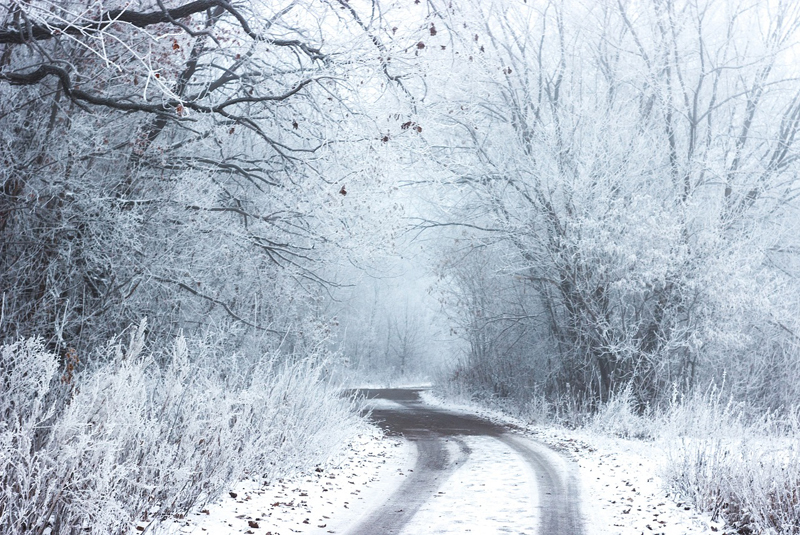 LeaseVan.co.uk claims drivers are 20% more likely to suffer a road accident during the winter months. The company supplies thousands of vans each year and is warning drivers to make sure their tyres are fit for winter driving conditions. This may mean changing them altogether and replacing them with specialist winter treads, particularly if driving on remote country roads. These specially modified tyres improve traction in slippery conditions and are designed to help drivers maintain better control of their vehicle when the roads deteriorate. They work best when temperatures drop below seven degrees, improving the traction, grip and breaking performance of a vehicle. While they work best when roads are covered in snow and ice, the tyres can be used in all wintry conditions. In Britain, most vans and trucks are fitted with standard tyres and, while it is not mandatory for vehicles to fit winter tyres during the colder months unlike in some European countries, they do significantly reduce the risk of driving in wet or icy conditions. One of the key differences between the two designs is much deeper tread grooves on the winter tyres which are much more effective at dispersing surface water on the road, reducing the risk of skidding due to surface water. The tread blocks are covered with small jagged slits called sipes which improve traction when temperatures plummet and snow falls on the roads as they provide hundreds of small extra edges to grip the road when the tyre rotates. Vans storing a lot of tools or trucks with heavy loads are particularly vulnerable to spinning as heavier weight in the rear can destabilise the vehicle when turning. Tim Alcock from LeaseVan.co.uk said: “Driving any vehicle in cold wintry conditions can be perilous but being behind the wheel of a van or truck with a heavy load is even more dangerous due to decreased stability and longer breaking distances. “Drivers using the specially designed tyres will feel more in control of their vehicle when on wet and icy roads, where a normal summer tyre would struggle for grip and traction. “The tyres are a useful investment for drivers who will cover hundreds of miles during the winter months. It is recommended to have them fitted around October and then return to summer tyres the following March, meaning drivers can get five to six months use from them. Next : The trades love talking about tools!